Why See Milwaukee Symphony Orchestra - The Little Mermaid? 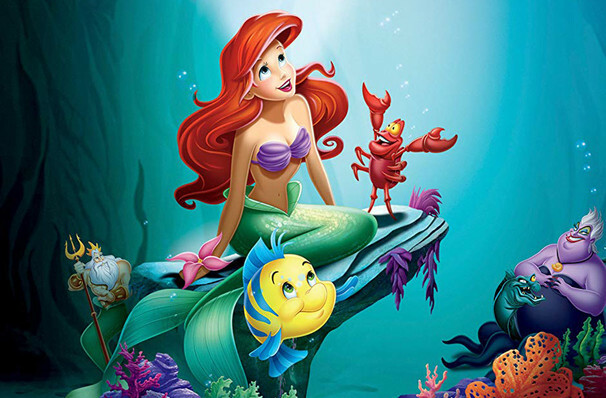 Tap along to Alan Menken's Oscar-winning score and swim into a collection of memorable songs by Menken and Howard Ashman including Kiss the Girl, Part of Your World and the Oscar and Grammy award-winning Under the Sea. 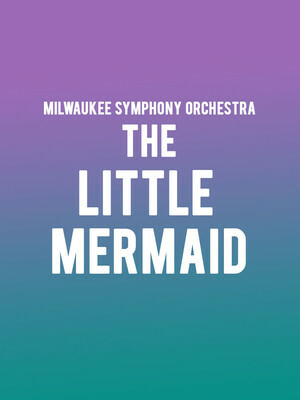 Performed by the consummately talented Milwaukee Symphony Orchestra, audiences are magicked on an underwater world journey that follows the hopes and dreams of Neptune's youngest daughter, Ariel and the challenges she faces when she falls in love with a human Prince and bargains her singing voice for legs. What makes this concert ever more special is that it is accompanied by the Disney film, giving younger Disney fans the opportunity to connect with orchestral music. The Milwaukee Symphony Orchestra was founded 60 years ago with a vision of comforting, education, entertaining and exhilarating the human soul; it has become one of America's finest orchestras and is celebrated for developing musical appreciation and talent in Wisconsin. Although it primary performs at the Marcus Center for the Performing Arts, every season its professional musicians perform more than 135 classics, pops, family, and community concerts in venues throughout the state. Sound good to you? Share this page on social media and let your friends know about Milwaukee Symphony Orchestra - The Little Mermaid at Riverside Theatre. Please note: The term Riverside Theatre and/or Milwaukee Symphony Orchestra - The Little Mermaid as well as all associated graphics, logos, and/or other trademarks, tradenames or copyrights are the property of the Riverside Theatre and/or Milwaukee Symphony Orchestra - The Little Mermaid and are used herein for factual descriptive purposes only. We are in no way associated with or authorized by the Riverside Theatre and/or Milwaukee Symphony Orchestra - The Little Mermaid and neither that entity nor any of its affiliates have licensed or endorsed us to sell tickets, goods and or services in conjunction with their events.